Barcelona. A city which is absolutely amazing, but could be quite expensive. As a student, we completely understand that it would be nice to also have some cheaper activities in mind. Luckily for you, there are a lot of free things to do in this awesome city. You might have already visited some places or you already knew about them, but there are also some hidden secrets. Budget proof Barcelona is anything beyond boring, it is interesting and good to add to your Barcelona experiences. Advantage? Yes, definitely! You will save some money for partying and shopping… or tickets to FC Barcelona! How budget proof is budget proof Barcelona?! There definitely is a budget proof Barcelona side, where you can do a lot things for free. Not everyone is aware of this, and that is why we made a small overview for you. So, from now on you do not have to spend useless money. Starting at nice squares, to nice art and a free walking tour. Do you prefer to do something more relaxing? Choose to hang out at one of Barcelona’s pretty beaches. Into nature and tranquillity? Strike down at one of the most beautiful parks. Pssst… what about free museums? 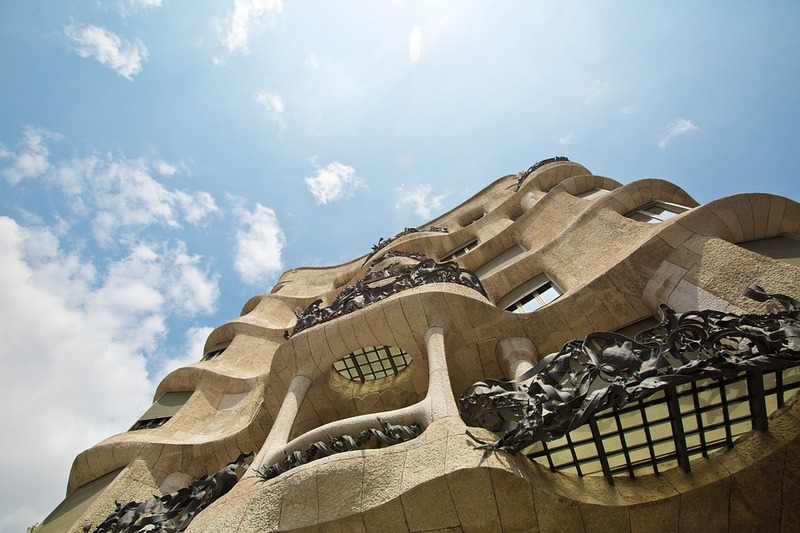 You definitely do not want to leave Barcelona without knowing anything about culture. Maybe one of the well-known activities in Spain is the famous ‘Mercat de la Boqueria’. 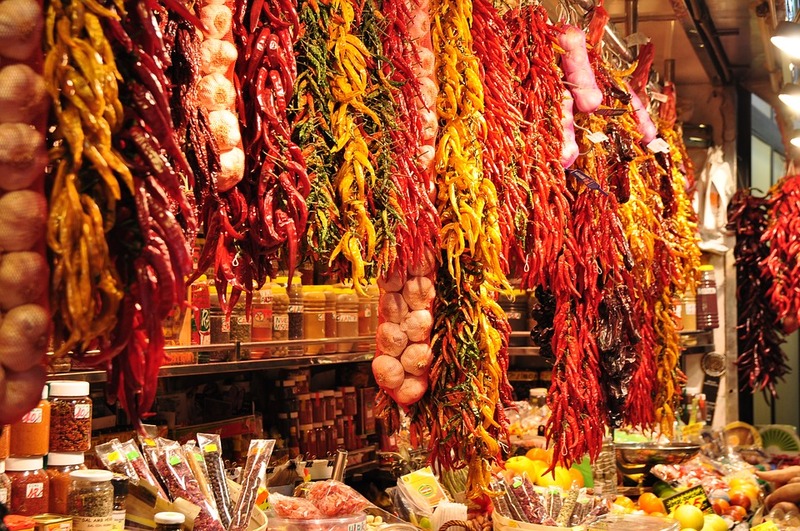 Strolling down this market, you feel see, feel, smell and taste the most fresh food and drinks of Barcelona. The market is full of beautiful colours, because of the fresh fruits and other products. This makes Mercat de la Boqueria definitely Instagram-proof! Getting out of bed to shop? Let’s go to the Las Ramblas! If you are visiting Barcelona, you must walk through the Ramblas. Perhaps you will do it, because you cannot avoid this famous place. Las Ramblas is decorated by beautiful trees, which form an outstanding walking path. There are also a lot restaurants on Las Ramblas. Whereas most of the local people will not recommend you to eat around the Ramblas, tourist institutions will definitely recommend you to eat there. This triumphal arch was built in honor of the world exhibition, and still this arch is a famous place to visit in Barcelona. If you visit the Arc de Triomf, you can walk further to the Parc de la Cuitadella (which is also free to visit). This is the most famous square of Barcelona. It is connected with the famous Las Ramblas. This square is surrounded by old buildings, tropical palmtrees and notifiying street lights. A little less well-known, but definitely a must-see square is Placa de Sant Felipe. This place is really special and unique, because it will take you back to the Spanish civil war. You can feel the tense not only because of the holes in the walls, but because of the whole image. The holes in the walls are created by the bombing during the civil war. On Sunday, you can visit some museums for free after 15.00. The according museums are: Maritiem museum, Museu Blau, Monasterio de Pedralbes, the castle of Montjuïc, Museu de l’Historia de Catalunya and the botanic gardens. Every 1st Sunday of the month, you can visit the Picasso museum, Museu Nacional d’Art de Catalunya, Palau Güell and the Pedralbes monastery for free. 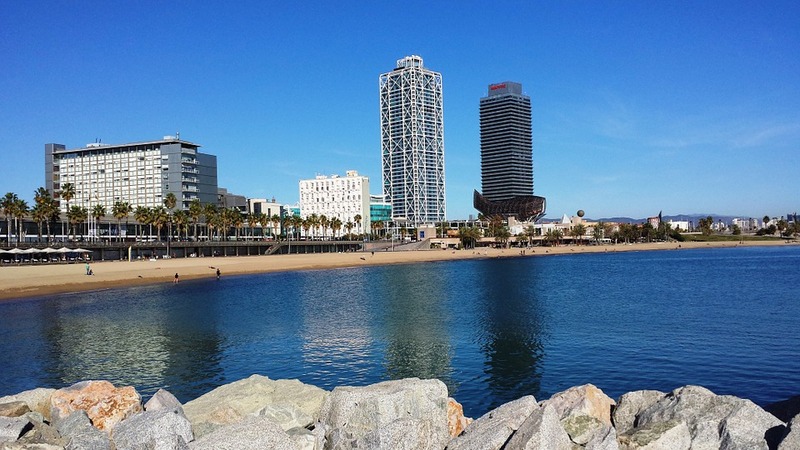 Barceloneta is probably the most well-known beach of the city. It is nearby the harbour of Barcelona. You can have a refreshing drink, take a walk or have a nice and fresh lunch at the beach. This beach is more familiar under the local people. During the weekends, local people will strike down on Bogatell beach. During the week, you can find here a nice and relaxing place. You can find Bogatell beach just a few minutes outside the city centre. Llevant is the most quiet beach of Barcelona. This beach is located on the edge of the city. More into an activity and watersports? Go visit Nova Icaria! This beach is perfectly for people who love to watersports. The famous Montjuïc mountain is definitely a place you must visit. Besides the breath-taking view over the city, you can also find here the most pretty (botanical) gardens. These beautiful gardens will invite you to take a relaxing walk. This park is also called ‘Park l’Escorxador’, because there used to be an old municipal slaughterhouse. You can find a lot of local people in this park which read a book or are having lunch. Looking for a park without tourists? Visit Parc del Turó de la Peira. This park is known among locals, and has got such a nice view as Montjuïc-mountain. Visit this park in between May and July, because this park got a big rose-garden with over 250 kinds of roses. You can relax pretty well here and enjoy the beautiful surrounding. A pretty romantic budget proof Barcelona activity! There are several organisations which offer free walking tours and free photo tours. Take a look at Sandeman’s New Europe. You will be guided by a guide through this amazing city, and they show you the most beautiful parts of Barcelona. With this pass, you will have access to must-see attractions like the Sagrada Famila and Park Güell. These are really famous and often have long waiting lines. In total, this pass is cheaper than buying tickets separately. Buy instead of separate tickets, a T10 card. This will cost you 9,95 euros for 10 rides, instead of 2,15 per ride. So how budget proof do you think budget proof Barcelona is? Leave a comment! ABCHumboldt was founded in 1986 and since then it has gained a reputation as a key reference point in language training, intercultural programmes and European projects. Thanks to the success of our courses and the response from our students, we have grown understanding what is expected and needed in learning a language. Our school in Barcelona is one of our largest and is a true treasure for learning Spanish. It is specifically designed for students' comfort and for every student to get the most out of their learning experience. Our school in Barcelona is our pride and joy.It’s large and modern, but at the same time is a learning environment, where you, the student, are the center of all our attention. Expanish is a Spanish language institute with over 10 years of experience teaching Spanish as a second language. Our school, founded in 1972, is right in the centre of Barcelona – so you don't miss out on any of the excitement – and has taught thousands of Spanish students and teachers over the years. Search, compare and book your ideal Spanish language course in Barcelona on Suspanish.com.